Most people do not only suffer with scalp psoriasis as it usually occurs in conjunction with another form of the disease. It is not as bad as other types of psoriasis mostly because it simply looks like dandruff and your hair hides the lesions. Still, it can cause pain, discomfort, feelings of embarrassment and requires treatment. Roughly half the people with psoriasis get it on their scalp and, like plaque psoriasis, it may be mild or severe. In some cases, the lesions and crust extends beyond the scalp to the top of the forehead, ears and neck. 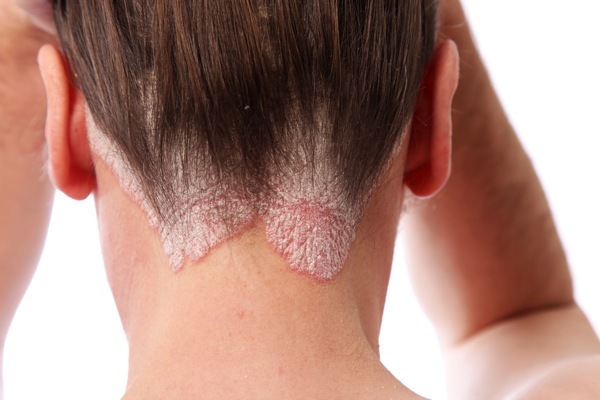 This form of psoriasis, especially if it occurs before any other form of psoriasis, may be confused with another skin condition known as seborrheic dermatitis. The main difference between the two conditions lies with the appearance and texture as psoriasis of the scalp looks more like dandruff while seborrheic dermatitis is more yellow than white and gives off a greasy facade. Psoriasis of the scalp has a tendency to make you quite itchy and if you scratch, bleeding, infections and an increase in crust build up are likely to occur. You may try a few different treatments to overcome the often frustrating itch associated with psoriasis of the scalp, such as shampoos and conditioners. One over-the-counter product usually effective in alleviating itchiness comes from hair care items containing menthol. Additionally, some people might find shampoos and conditioners with coal tar to be quite effective, though they do not smell as good as the menthol products. If the hair care products prove to be ineffective, you might consider talking to your doctor about over-the-counter or prescription creams as well as oral medications. Scalp psoriasis, more information about psoriasis causes. If you do not overcome the itch associated with scalp psoriasis or scratch prior to treating it, you put yourself at risk of obtaining an infection. A scalp infection ranges from one inhibited by yeast to those caused by bacteria. In some of the worst cases, crust and scales develop while the lymph nodes in the neck swell. Under any of these circumstances, your doctor is likely to prescribe a treatment known as antimicrobial therapy. 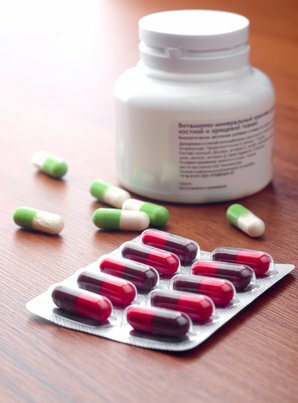 Antimicrobial therapy is not as bad as it sounds and requires little more than a shampoo or topical cream containing anti-fungal properties. Depending on your case, a doctor might recommend something as simple as an over-the-counter treatment like hydrocortisone with anti-fungal ingredients. You may need stronger medications, such as a prescription, if you have a severe case of psoriasis or if you scratched too much. Like any form of psoriasis, scalp psoriasis does require attention to control outbreaks, flare ups and minimize the number of recurrences while alleviating your symptoms. In order to do this, you must work with your doctor to create a treatment plan and immediately inform them of any bad reaction or side effects which you may experience. This helps to keep you healthy and prevents any potential long-term damage, as you do not want to relieve the psoriasis symptoms just to battle something worse. The most common treatment for psoriasis in general is topical ointments because they work fast and have less serious side effects. For psoriasis of the scalp, doctors may prescribe creams like Taclonex or Anthralin, along with Tazorac and Dovonex. If the cream proves ineffective or you require a more aggressive treatment, your doctor could recommend a combination of treatments, including oral medications, injections or exposure to artificial UVA or UVB rays. Living with scalp psoriasis does not mean you walk around wearing a scarlet letter, worrying about others staring at or judging you. You have the power to manage this disease and as long as you do so responsibly, you increase the odds of remission and decrease the chances of outbreaks and flare-ups. Keep a positive attitude and remember that science, technology and medicine improve every day so a cure is not impossible.